This was a book that I found on the ‘Just Returned’ shelf of the library during one of my lunch time sojourns to the library. 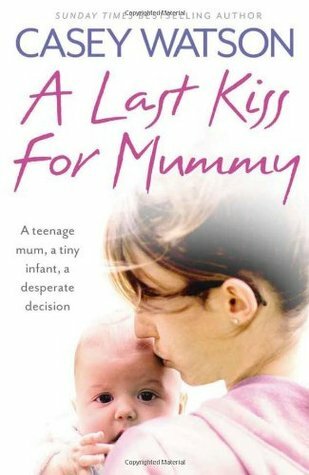 The blurb caught my interest – ‘How could you ever choose between your own life and the life of your child?’. I assumed it would be Jodi Picoult-ish, as TGND might call it. But then I had never heard of the author or the book, so decided to give it a try. After bringing it home, though, I started to have, well, not negative, but some sort of reluctance to pick it up. It looked like a general book, why waste time on it? It sat on my book shelf until I had finished all my unread Alexander McCall books. Finally, I had just one book – this one unread. I had the option of picking this one or the Kindle. Of course, a real book would win – every single time! Holly and Tom, have just moved into an old manor house in a little English village. They are in the process of renovating the old house when Holly discovers what she thinks is a sundial and manages to restore it. Little does she know that her whole life is about to change. What is she thinks is a sundial is actually a moon dial, and it has the ability to show you your future on full moon nights. Holly sees her husband and newly born daughter mourning her death. She, according to what the moon dial was showing her would die in childbirth. She now has the option of not having a child if she wants to live. She sees her future a few more times and falls in love with her unborn daughter. Holly comes with baggage of her own. She had an extremely uncaring mother and has always worried if she will evr make a good mother. She had always been unsure of ever wanting her own children, out of fear that she would have her mother’s genes when it came to parenting. Seeing her unborn daughter during her time travel with the moon dial, her dilemma just increases because she wants nothing more than to be able to hold her daughter, all the while knowing that giving birth to her daughter will kill her, so she would never be in a position to hold her anyway. Then there is her husband. They are deeply in love and the future shows him distraught, upset and alone. Does she want him in that position? But he wants children and he is hoping that Holly loses her pessimism when it comes to motherhood. How can Holly possibly convince him to accept that they didn’t need children? Especially when she herself is finding it hard not to have the beautiful baby she has already seen. Initially, she was adamant that things that she saw couldn’t possibly be true, until she noticed things that she saw in her time travel actually happening. She noticed little things, little changes happening to her house, which she had seen already through the moon fail, forcing her to accept that it was indeed showing her the future. So what does she do? You will have to read it to find out but let me tell you that it made me well up with tears. It made me sad and yet rejoice in her happiness when she sees her gorgeous daughter in those time travel episodes. The author captures the emotional turmoil beautifully. It had me hooked and I just couldn’t put it down. I think I read it completely in less than a day, which is saying something, given my schedule these days. I would rate it a 4/5. And I would definitely be on the lookout for other books by the author. Amanda Brooke lives in Liverpool with her teenage daughter. When her three year old son died of cancer, Amanda was determined that his legacy would be one of inspiration. Yesterday’s Sun is inspired by her experiences of motherhood. This book is available from Amazon(UK) and Flipkart. Maggie is finally leaving prison. She had been behind bars for the last one year. Convicted for setting a fire that killed many children, and one that almost took her own brother’s life, she is in living hell. Her release from prison, sadly hasn’t released her from the prison of guilt. Keith Wes has had his life turned upside down in the last year. He almost lost his life, by an act of arson. He has been terribly disfigured, and now the person responsible for it all is coming back from prison. He feels that Maggie had it easy. The fact that Maggie and he are half siblings has not helped, given the fact that he and his mother Sara live in half poverty, while Maggie and her family live in comparative opulence. The day that Maggie is release, is already one full of tension for Keith and to add to that, his mother, goes out to the shops and doesn’t come back. Keith, is left alone, without any money or help, at a time when he needs it the most. His mother, a devoted mother would have never done something like this, so what exactly went wrong, is something Keith and others around him need to find out. Meanwhile Maggie discovers how much people in her town hate her. Nothing prepares her for the hostility she faces. Nothing she does can ever make up for what she did, and she knows it better than anybody else. Life as she knew it has come to an end. Only the support she has from her family, her mother, uncle and brother keeps her going. But she can’t hide inside her house, she has to make an effort to build a life for herself. 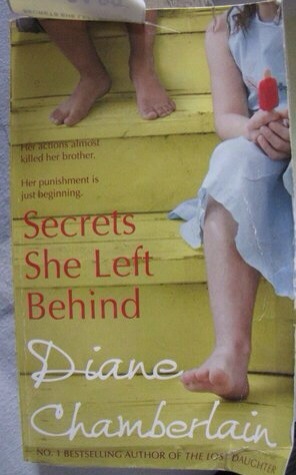 Full of twists and turns, Secrets She Left Behind is a page turner. Family secrets that come tumbling out, secrets that made people behave in ways they might not have, unexpected twists that change the course of the story. What made Sara walk out and not return? Who is Jen, the mysterious girl who befriends both Keith and Maggie. I couldn’t put it down. Narrated by each of the characters, it gives an insight into each of their thoughts. Maggie’s remorse and guilt, Keith’s torment, the rest of Maggie’s family’s lives and experiences and how each of them add interesting facets to the story. A sequel to Before the Storm, I think I enjoyed it even more than the first book. Or is it that I can’t remember it as clearly, I don’t know. What I can say for sure, is that this book was a wonderful read. A quick, exciting page turner, it was un-put-downable. Casey Watson is a foster carer. She had been caring for several foster children over the years, when she and her husband get handed a new challenge. Caring for a teenage mother, Emma and her three week-old baby, Roman. Casey and Mike took it up, and it took them on an unforgettable journey of emotions and experiences. Fourteen year old Emma is just a child herself, and is in the position of having to look after her baby and look after him well enough to convince social services that she is capable of looking after her baby. Emma’s own mother is an alcoholic and Emma has been in and out of care throughout her life. Emma’s mother threw her out of the house when she got to know that Emma was pregnant. Emma, at fourteen, a mother already stood the chance of repeating her mum’s mistakes. Now her baby, Roman stands the chance of having the same life ahead of him. Unless, Casey and Mike can help foster Emma and Roman and help them forge a better future for themselves. Emma is not anything like Casey expected, but Casey and her family grow a strong bond with Emma and Roman. Initially things seem alright, although soon, Emma starts getting irresponsible leaving Casey and Mike to pick up after her. Soon it reaches a point where social services have to take the decision of whether or not to send Roman to foster care. It is a heart-wrenching true tale of lives that are derailed by the choices that people make. It was a heart-wrenching read. But still an interesting one. A book that gave me an insight to why some people make the choices they do. I cannot imagine how tough it must be for a teenage mum with no support to bring up her child. I mean, even as adults, it can be a tough thing. And here are children, bringing up their children… It also gave me an insight into the world of foster caring. How very tough it is as well as how rewarding it could be. I would rate it a 4/5. But it’s not a pleasant read, although in this case things did work out for Emma(and her children). Casey Watson is a foster carer and author of several books. TGND recommended this book, and when I checked the library, there it was! Born in 1979, Roxy Freeman grew up travelling around Ireland and England in a horse-drawn wagon with her mother and father and five siblings. Life was harsh but it was a childhood of freedom spent in harmony with nature. Roxy didn’t know her time-tables but she could milk a goat, ride a horse and cook dinner on an open fire before she was ten. I have mentioned this before that I find it tough to review non-fiction which is somebody’s life story. But some books grab you so hard that you cannot but talk about it. Little Gypsy is one of those. 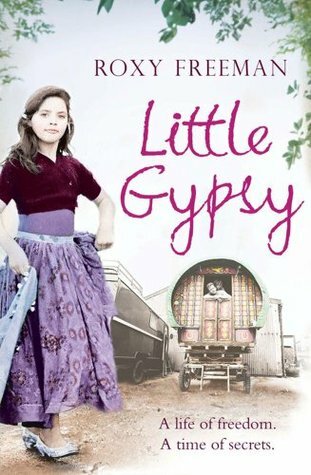 I had first come across gypsies in Enid Blyton books. They seemed fascinating to me. Not aspirational, but definitely fascinating. To be reading the tale of a real life gypsy was exciting! Roxy Freeman’s dad came from an ancestry of Romani Gypsies, possibly. His great-great grandfather suffered an injury and that resulted in them giving up their nomadic life until Dik, Roxy’s dad rediscovered his nomadic tendencies. Roxy’s mum was from a wealthy family in America who meets the love of her life, Dik, while back-packing in Ireland. They go on to live a proper nomadic life with their 6 children. Life, when Roxy was young was harsh, but fun. Roxy was born in Ireland and that was a more idyllic existence. Things changed a lot for them when the Freemans moved over to England, where prejudices ran high. They faced trouble from the local communities and had to deal with regular evictions from the police. Despite all that, the children did have a good childhood. All that changed for Roxy and Perly, her younger sister, when they fell prey to the unwanted attention of their ‘uncle’ Tony. Tony was a friend of their parents, and a highly trusted one. They were abused for years by him, and they kept quiet, terrified by what might happen if they spoke out about what Tony did. It was years before Roxy managed to speak up about the abuse. They had a kind of upbringing that is hard to imagine. No schooling, it was only after Roxy was over 8 that she started to recognise letters and learned to read. I find it hard to understand how her mother, who grew up well-educated never felt the need to educate her children. As for her dad, so many things I find difficult to understand. But then that just might be a different type of life, one which most of us would find tough to understand. I guess that is why that life is called unconventional. What is heart-warming is how Roxy made the most of her life. Despite her childhood, Roxy went on to educate herself and get a life for herself. The book had me marvelling at their lives and wishing they had better at the same time. The small things that we take for granted like having a hot bath, were luxuries for them, had only when their mum’s parents came visiting. Once when she slept over at a friend’s place, she felt it odd to be in such a hot place, never having had central heating or electric blankets, it was something her body just couldn’t adjust to. Her mother, I have to say, must have been the most gentle, adjusting person possible. To take to the life of gypsies like she did, despite being from such a different background, accepting the things her husband did.. sounds almost unbelievable to me. I can understand some from a less privileged background behaving like this but her mother, who seemingly had options.. very difficult to understand. But then, that’s people, isn’t it? Everybody functions in their own way, with their own motivations. It was a fantastic book. It gives an insight into the nomadic way of living. The prejudice and hostility that they face from people unable to accept a different style of living. As for the abuse she faced, I guess that could happen in any sort of environment. It is heart breaking to see that child sexual abuse happens everywhere, just goes to show, I guess there are all sorts of people in all sorts of societies. The author wanted to write her story to show that even a childhood disrupted by abuse can be happy, and I guess she does do that with the book. It is a fascinating tale of a way of life, which I would think will soon be one of the past. It makes me wonder if it is right to expect nomadic people/tribal people give up their ways and adopt the ways of the majority? While in some ways they might be at a disadvantage, I can’t help wondering if that is only true because the society is tuned to the way most of us function. So ‘lifestyle minorities’ like the gypsies would have to conform, eventually? That makes me feel a little sad. It was 5/5 read for me. A window into a totally different life. Roxy Freeman was born into a travelling family. She has had an unusual life, to say the least. She was 23 before she saw the inside of a classroom. This is her first book. Some books elude me. For ages. I had heard people raving about the series and couldn’t want to read. I have been on the lookout for it for a while now. And even after I got hold of it, it took ages before I started reading it. I can only say that the book has been well worth the wait. Mma ‘Precious’ Ramotswe, started the No. 1 ladies Detective Agency, out her inheritance that her beloved father left her. Her initial worries about not getting enough work is swept away as she is kept busy with tracking missing husbands, children, errant daughters, fake fathers. The works. Turns our that Mma Ramotswe is made for being a detective. Humane, yet firm, diligent, observant, logical and knowing how to get the system work for her, Mma Ramotswe soon has cases of all sorts. Some easy to solve, others more testing. Sometimes she ends up the fall guy despite just having followed her client’s instructions. As she solves each of the mysteries, we get to see more of her personality and get to know her better. More than the actual story, it is the writing style that makes it so captivating. Precious Ramotswe is a wonderful character. With a story of her own, one that made her emerge stronger, Mma Ramostwe makes a wonderful protagonist. The characters are beautifully developed, and the mysteries are more incidental rather than the focus of the story. The focus of the story is definitely the delightful Mma Ramotswe and her life and her sometimes unorthodox methods of solving mysteries. If I had to use one word to desribe it, I would say ‘cozy’. A book that comes so heavily recommended, it could have easily become a let down. Instead it was an absolute delight to read. An incredibly sweet book. I loved the way it is written. It had me smiling through the book. It made me miss reading the book when I was at work. I would barely stay away from the book. And when it ended, I wanted more. This is one series I definitely want to read through. A wonderful book. One that I couldn’t have enough of. I would rate it 4/5. 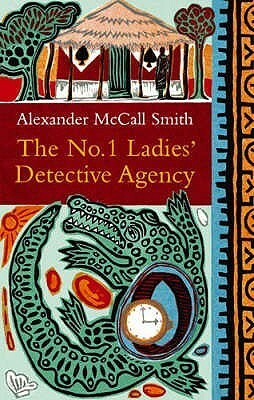 Alexander McCall Smith is the author of the international phenomenon The No. 1 Ladies’ Detective Agency series, the Isabel Dalhousie Series, the Portuguese Irregular Verbs series, and the 44 Scotland Street series. He is professor emeritus of medical law at the University of Edinburgh in Scotland and has served on many national and international bodies concerned with bioethics. He was born in what is now known as Zimbabwe and he was a law professor at the University of Botswana. He lives in Scotland. This book is available from Amazon(UK), and Flipkart(India).